Founder of PALM Expo and PALM Conference in 2001; Music Expo (2001); IRAA (2006); Sound & Light Awards (2011); PALM DJ Championship (2011). He founded India’s first pro audio magazine Playback & Fast Forward in 1986. In its new avtaar the magazine is now called PALMtechnology. 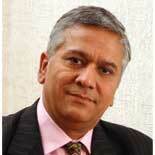 He was also Publisher and Editor of Studio Systems (1993) - India’s first pro video and broadcast magazine. Pramod Chandorkar has been working as a Sound Engineer in the music industry from 1995 till date. 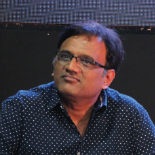 He has worked on numerous mega-hit albums and films as a Chief Sound Engineer. He is one of the few audio engineers who have excelled in all branches of audio ranging from music recording, live sound, film sound design and studio design and audio education. Currently other than being the Founder & Director of Soundideaz Academy Pvt. Ltd. a premier institute conducting courses on Sound engineering, he also heads an impressive Audio post-production facility. He is also a FOH Mix engineer and the Head Technical Engineer for Sonu Nigam Live in concert and has been traveling the world for his tour for last 13 years. He has mixed live for several artists like Lata Mangeshkar and Asha Bhosle. He has also received the Zee cine award for best Song recording in 2005 and 3 IRAA & 1 Palm live sound awards too. 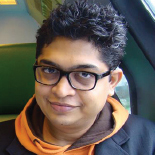 Aditya Modi, Vice chairperson of Audio Engineering Society India, Member of CEDIA, a 2006 & 2007 IRAA winner himself, graduated with a Recording Arts Degree from Full Sail University, after which he assisted sound engineering veterans Daman Sood and Avinash Oak. He has acquired extensive training in analog & digital recording techniques for large orchestras, as well as singular vocals and has worked with stalwarts of the Indian music industry, including, Jagjit Singh, Lata Mangeshkar, Asha Bhosale, Pandit Jasraj to name just a few. After receiving an offer from the Maestro – AR Rahman, Aditya moved to Chennai and has been working with AR Rahman on several of his film projects since 2001. Aditya has also worked on over 75 live concerts with AR Rahman worldwide. Currently he manages a Pro Audio consultancy & distribution business with offices in Mumbai, Chennai & Bangalore. He has designed, constructed, consulted audio and sound technology for over 250 installations including studios, Home theatre, showrooms, auditoriums & TV / Radio stations.